I screamed “UralOwlUralOwlUralOwl!! !”, all the time pointing with my right hand while holding the steering wheel with my left, and the hardest thing, keeping my eyes on the road. Fortunately, B. managed to see it, his largest owl ever. I had just a split-second glimpse of this species – my only second ever – yet immediately knew what is it, but I was driving through a snowbound countryside and had another car behind me, therefore I stopped a good 50 metres later to eBird it. How I managed to ID the Ural Owl so easily with such a short observation window, beats me. It came by automatism. It is the end of January and my year list reached 110 birds. How does it compare within the region? 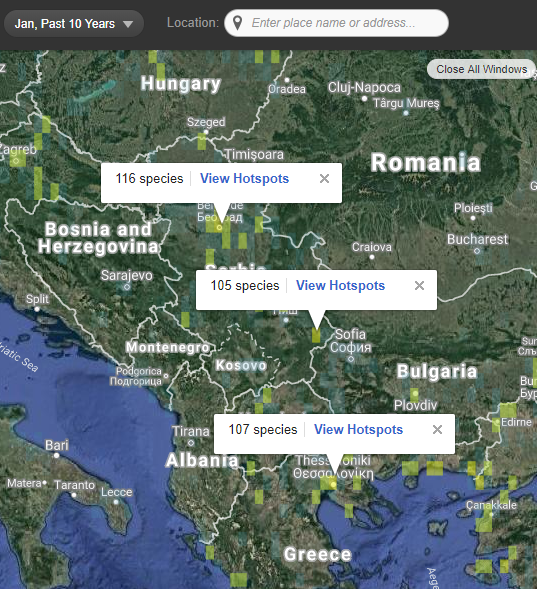 More productive areas of the Balkans have January eBird lists from 105 to 115 species (but I combined several areas in two countries, Greece and Serbia), so I have every reason to be satisfied. Am I satisfied? Without rarities and vagrants, Serbia has 333 regularly occurring species and my national list of 91 birds represent a good 27 per cent of local bird diversity. Yet, checking my remaining January targets, I realise that I could have easily had 4 or 5 more species. The silver lining is, tomorrow I should be counting thousands of gulls and will stand a chance to find the two missing species, Lesser and Great Black-backed Gulls. Talking of gulls, I had a new meeting with an old acquaintance, the Black-headed Gull ringed in 2013 in the north of the country that I already met twice in 2015 and now again – I even recognized its ring because the combination of letters sounds a bit like “Yahoo”. The best birds so far were two rare geese, Lesser White-fronted and Red-breasted Goose (both my second observations ever), plus Bewick’s Swan and Red-crested Pochard – all in Greece. 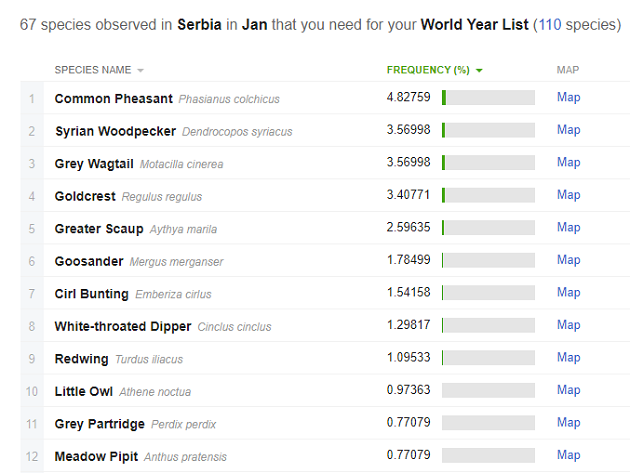 Then, Black-throated Diver (Serbia), Greater Spotted Eagle (Greece – only my second observation in Europe, and the third, and the fourth…), Northern Goshawk (Serbia, this one getting so rare that I haven’t seen it in last few years), Temminck’s Stint (Greece – my first for Europe), Herring Gull (Serbia – supposed to be rare, but more likely regular, ill-numbered and overlooked), Ural Owl (Serbia – my second ever), Grey-headed Woodpecker (Serbia – the least common of common peckers), Peregrine Falcon (Serbia – becoming ever rarer), Western Rock Nuthatch (Greece – such a joy to see) and Eurasian Treecreeper (Serbia – silent and not a small feat to manage to observe its wingtips to tell it apart from identical Short-toed Treecreeper). Yesterday, while counting gulls all the way till the super blue blood moonrise, one Lesser Black-backed Gull – the species #111 for January, made my day. 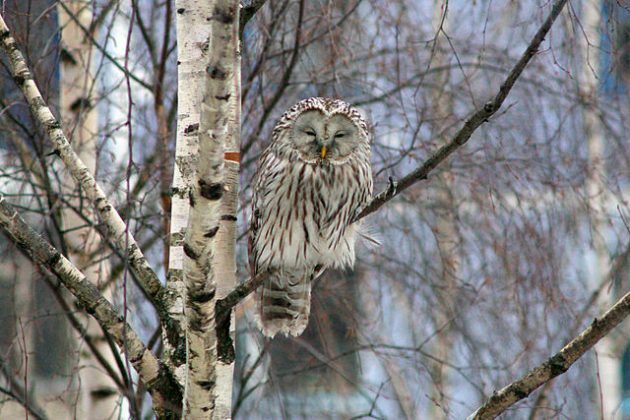 Very cool, oh how I would love to be able to also shout “Ural Owl” in the same circumstances. I was thinking “should I add ‘only my second in ten years’”, but didn’t. Never used playback on them. Yet, this roadside Urals are becoming a commoner phenomenon in recent years. You’re having a great year so far. I ended January with far fewer species and one less owl. Dragan! Many thanks for three fantastic days of birding Serbia. 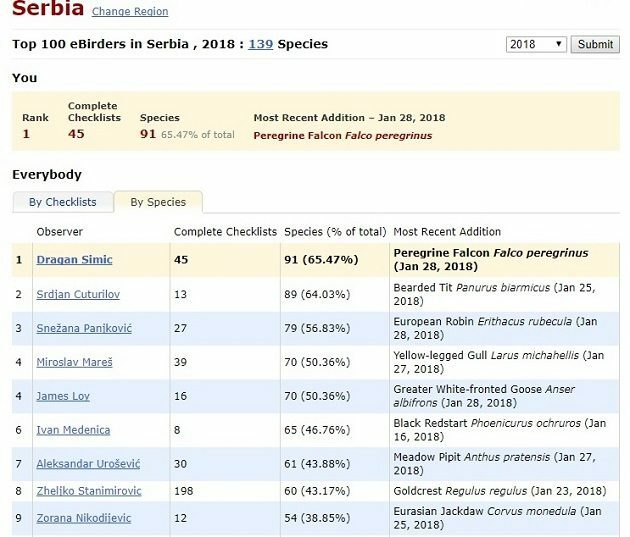 You are truly the “Balkan Bird Whisperer.” The birds and environment of Serbia are sooooo fortunate to have an advocate on their behalf in you. You are the man!! !